Resorts in several Caribbean destinations are giving snow-bound North American residents opportunities to thaw out with a variety of warm-weather packages that combine sunny skies and beautiful blue waters with outstanding travel values. The free nights and discounted rates are available at beautiful beachfront resorts in Nevis, the Bahamas, the Dominica Republic and Jamaica. 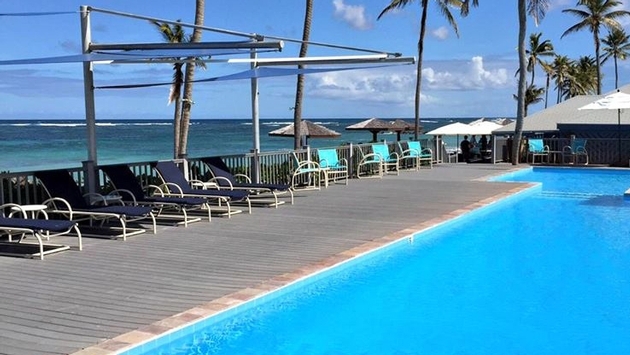 In Nevis, the Nisbet Plantation Beach Club is offering “Spring Fling” packages between April 1 and 30, 2015, featuring two free nights for seven-night bookings and one free night with five-night bookings. The packages also feature daily breakfast and dinner, a $100 beverage credit, daily afternoon tea and complimentary airport transfers. The 36 cottage-style resort is located on a 30-acre beachside plantation property. The boutique property blends old-world Caribbean charm with conveniences including Wi-Fi, hiker GPS and Vespa scooters. Daily rates start at $338 per room, per night, double occupancy. Travelers can also escape this year’s wild winter weather in the Bahamas, where travelers will have the first opportunity to experience the “Bahamian Riviera,” at Nassau’s new $3.5 billion Baha Mar mega-resort. Scheduled to open March 27, the resort is offering one free night to guests who book stays of two nights or more at the Baha Mar Casino & Hotel and Grand Hyatt Baha Mar properties. A free night will also go to travelers who book four nights or more at Baha Mar’s SLS LUX Baha Mar and to travelers who book five nights or more at Rosewood Baha Mar. The free nights are offered on a per-room, per-night basis; free-night credits will be applied at check-out. The Dominican Republic’s Barcelo Bavaro Beach Resort is also offering discounted rates to vacationers eager to leave chilly temperatures behind. 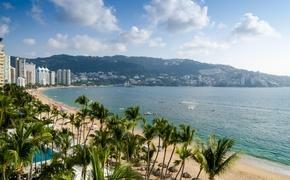 The resort is offering up to 35 percent off published rates and up to $3,000 in resort credit to vacationers. Under the offer, rates start at $168 per person, per night. The all-inclusive Barcelo Bavaro Beach Resort complex features two adjacent resorts: Barcelo Bavaro Palace Deluxe, a family-friendly resort, and the adult-only Barcelo Bavaro Beach property. The entire complex features 1,991 rooms; 14 specialty restaurants, 16 bars; an expansive spa and fitness center and entertainment including a casino, waterpark and an 18-hole golf course. Jamaica’s Holiday Inn SunSpree Montego Bay resort is offering a “Getaway Package” featuring a fourth night free on Sunday-to-Thursday stays between April 12 and Dec. 23, 2015. The Getaway Package is available on bookings made through Dec. 19, 2015. The packages include unlimited meals, snacks and beverages, non-motorized watersports and resort amenities. The hotel offers a free nightly shuttle service to Margaritaville in Montego Bay’s Hip Strip entertainment district. Free Wi-Fi service is available in all rooms and suites, and children 12 and under stay, play and eat free when sharing accommodations with parents.